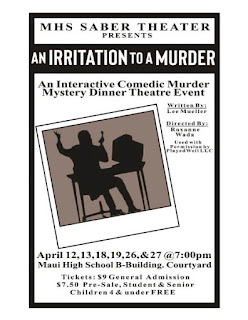 Maui High School Saber Theater presents “An Irritation to a Murder"
Maui High School Saber Theater presents “An Irritation to a Murder,”an interactive, comedic mystery dinner theater event by Lee Mueller, directed by Roxanne Wada. Godfry Gatewood, a wealthy billionaire, is so stressed out he up and dies just as scandal breaks, and his wife's dinner guests start arriving. Fortunately, Private Eye Nick Dashell and his wife Darla are on the case, and they are sure to crack the case (and a few jokes) with the audience's help! 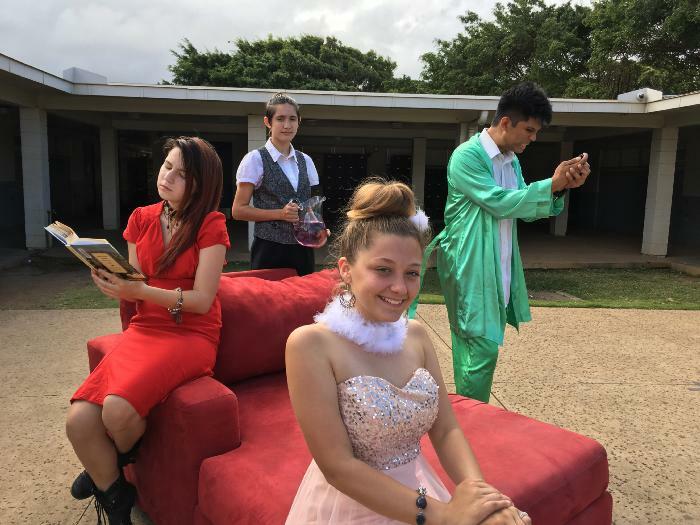 Performance is at 7 p.m. Fridays and Saturdays, opening Friday and running through April 27 at the Maui High School courtyard in Kahului. Tickets are $9 for adults, $7.50 for students and seniors, and are available at the box office before showtime. The Foltz Community Center (Canton Ohio) will host a murder mystery on May 3 and May 4 (2019) to benefit the center’s operations. 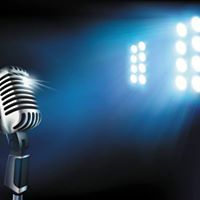 “Talk About a Murder” by Lee Mueller will be presented in a cabaret-style setting that lends itself to audience interaction. Those in attendance will have a chance to solve the mystery and win prizes. The Plot: The Nickie and Ricky Rivers Show is broadcasting their talk show on the road and it's a bumpy ride. This show features D list guests including Vegas Lounge singing team of Shecky Scagnetti and Edie Buffet, new age guru: Celeste Ethereal, home economist; Phoebe St Self and gossip columnist: Polly Pettegolo. Everyone is on the show to plug their own "shows" and what starts out to be a yawn fest "talk show" gets heated with a few ego and personality clashes. Sure, it sounds like every other talk show but, this particular show kills! Literally. One of the featured guests is murdered. Who would want someone dead while live on the air? Or is the question, who wouldn't? Can this mystery help the ratings? Must the Show go on? Might as well, there's nothing else on. Showtime is 6 p.m. each night. Tickets are $35 and available through April 22 online at www.foltzcenter.com or by calling the center office at 330-488-6500. 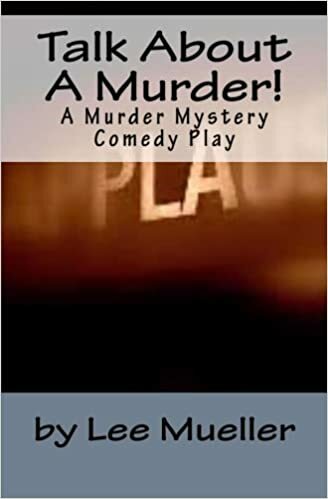 Labels: "by Lee Mueller", "Murder Mystery play", "Talk About A Murder", "theatre"
If you are good at figuring out a mystery and enjoy eating a tasty dinner, plan to attend the mystery dinner at 5 p.m. April 13 at Zion Reformed United Church of Christ, 201 N. Potomac St. in Hagerstown. 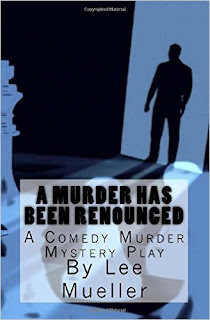 It’s called “A Murder Has Been Renounced” by Lee Mueller. The cost is $15 per person or $25 per couple. When Nick and Darla’s car breaks down on a dark and stormy night, they are left with no choice but to knock on the nearest door for help. However, all is not as it seems in this extraordinary home. The inhabitants seem to be in a world of their own, and when a murder victim is discovered it’s a race against time for Nick to solve this seemingly unsolvable case. Join Nick, Darla and the rest of the gang as they try to solve the mystery that will have you on the edge of your seat, quivering with antici………pation!
" Hello, my uncle Morty is retiring this Friday and we're having some family over and some pot roast and we saw your mystery deal on the interwebs and thought it might be fun for Uncle Morty, how do we get these Mystery things for Friday?" I have to respond something similar to: "Congrats to Uncle Morty but my 'Mystery Deals' are actually theatrical plays, you know like, Death Of A Salesman, Our Town or The Odd Couple, you know something you would go see performed by actors. I think what you may be looking for is a Murder Mystery Game, a LARP, you know, Live Action Role Play." What are the differences between a Play and a game? A Play is a theatrical performance with actors, a director, a crew, a set, props and a script. 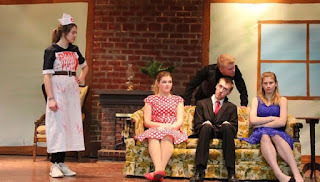 Local Community Theater group- Check in your area or search online. 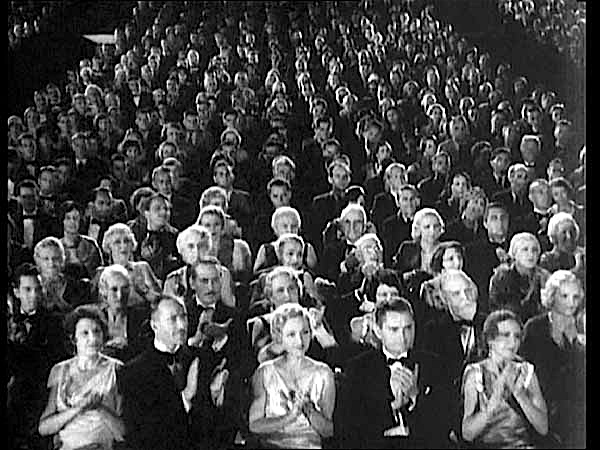 Most communities have amateur theatrical groups. The benefit of a community theater groups is that it's a volunteer-based organization. Local Colleges and High schools- Most schools have theater departments or personnel that may be willing to stage a play for you. Create your own Group- You may have a theatrical background or know someone who does. If you don't wish to stage a play yourself, you can also find groups online that supply their own acting troupe and Murder Mystery Plays. You can find Mystery Games online that come in all shapes and sizes. Some are set for dinner parties with elaborate plots which include kits with all the material you need. Others are very simple with a set of rules and basic plot. Most Murder Mystery games involve everyone, much like role-playing games. (called a LARP- Live Action Role Play) You will not need any theatrical performers, just yourself and your guests. You assume a "character" and essentially play out a story. If you prefer a more theatrical Murder Mystery or don't wish to host a game at your home, you will need to find a venue. Finding a place is really not difficult. My home group started out performing Mysteries at a local Historic Mansion, moved to a Community Center and finally found a home at Banquet Facility. 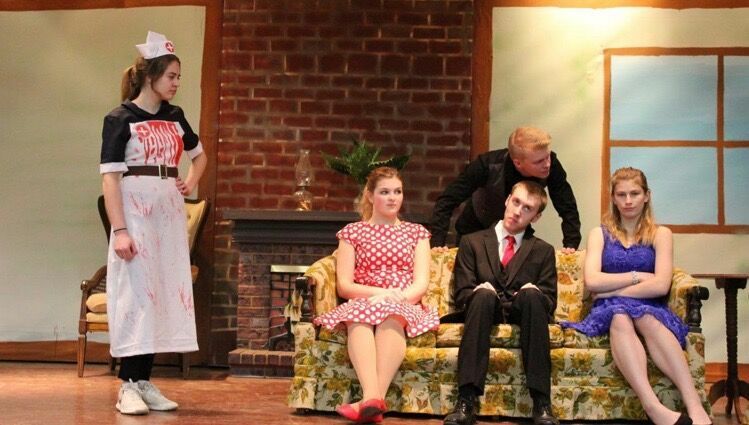 Many popular Murder Mysteries are based in a Dinner Theater setting. The idea of a dinner and show is very appealing to audiences. Local Community Center / Theater - check your local area most Centers have a theater or large room for rent. High School - many will rent theater space to you. Local Historic Homes - many Historic Homes in large cities host murder mystery plays. Banquet Halls - sure, their main businesses are weddings and reunions but they offer ample space plus most have their own kitchens or catering services so Hosting a "Dinner Theater" would be perfect. Hotel Conference room - many large hotels have conference rooms perfect for hosting a play. Restaurants - some restaurants have "party" rooms that supply enough space to host a dinner theater. If you choose to create your own theatrical troupe you will, of course, need a place to rehearse the play. If you have secured a location that will let you perform the show, they may also let you rehearse there. If not, there is nothing wrong with a good old basement or garage. My local group spent years rehearsing in basements. Extra Bonus idea Contact local businesses in your area to see if they would like to purchase an ad in your program. Leave a few pages free in your program for his purpose. Selling advertisements will generate added revenue. Another idea is to see if the businesses would like to donate any items, gifts, coupons etc.. as prizes for your play. At the end of the evening whoever guesses the "murderer" will receive a prize from a local business plus this business gets a free promotional plug. Hopefully, these tips will get you started in the wonderful world of Murder Mystery Hosting! 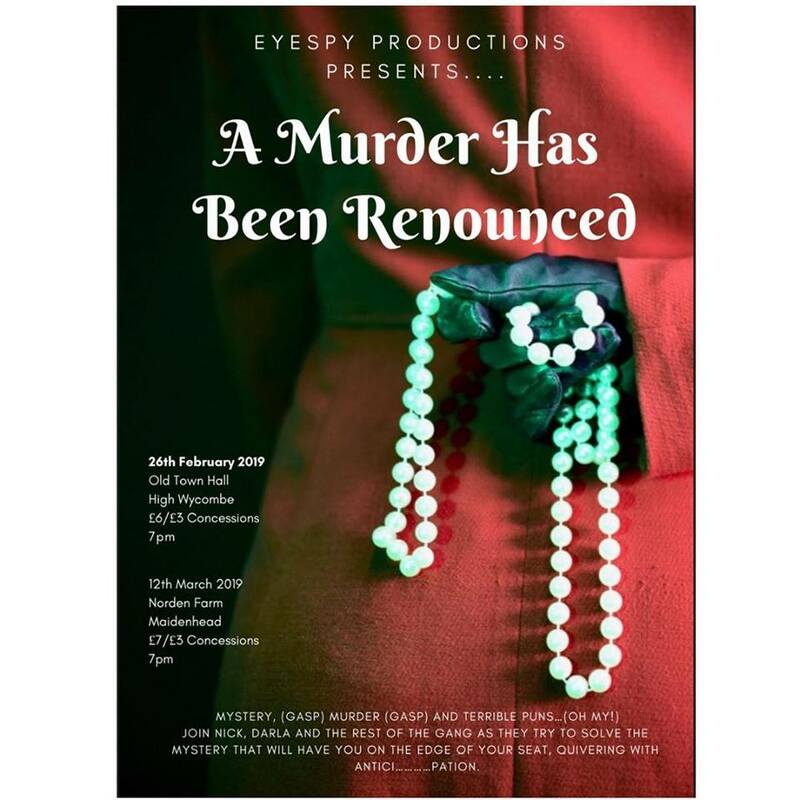 I recently read a review of one of my plays - Murder Me Always and it reminded me of an annoying habit that some reviewers or critics have - and I know, I used to be one. Many years ago, I wrote "music" reviews for a local St. Louis entertainment paper. Each week, we would receive a plethora of cassettes, CD's and albums from local and regional bands and I among a few others would take them home, listen to them and write a music review. Not a criticism. There is a difference between a "reviewer" and a "critic". A reviewer simply does what the name implies, reviews the product. Tells you what you can expect, whether it be music, literature, a movie or play. For example, my job was to tell the reader about the band's release, what style of music it was, how many songs were on the recording and just basically summarize it without interjecting my opinion. So basically a "reviewer" tells you what to expect. A "critic" gives you a personal opinion. Now, there were times I was guilty of stepping over into the opinion realm as a reviewer and became a critic. But one thing I would never do is to coat a review with my own personal preferences or beliefs. This is the "annoying habit" I first spoke about above. I would never write a review of say -a country and western band and start it off by saying, "I hate country and western music." Or criticize a guitar solo by saying "A nice solo played on a Fender Stratocaster but I wish he would have used a Gibson Les Paul, it has better tone." This crosses the line of criticism and becomes a self-serving essay on personal tastes. A individual preference is not a universal fact. Your own personal tastes have no place when reviewing a work that you did not create. All art is essentially the reflection of its creator. It's the artist's preferences, opinions, and values. A critic has no place holding up their own subjectivity as a basis for judgment. It would be like me sitting across the dinner table from you and exclaiming, "Why are you eating turnips? I hate turnips! They taste like old socks washed in dirt!" - Seriously. Who really cares that they taste like dirt to me and that I don't like them. If you like turnips, eat all you want. Please tell me to shut up. From time to time I will read "reviews" of my plays and for the most part - they are reviews: The name of the play was this. It had these actors. This happened and that happened. etc..
As I was saying, this recent review I read could qualify as a criticism, (I have no problem with criticism) but it contained a few remarks that blurred into the world of the writers own personal preferences. First let me clarify -the reviewer, in this case, was a college student - so it may be excusable for now. 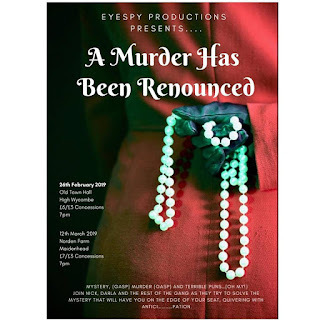 The review stated that other dinner theatres she had attended, the actors actually served the food and "Murder Me Always" was lacking in this. Really? That was a lack you sorely missed? She also stated that the "dinner" was actually "a self-serve buffet" (which may explain why the actors didn't bring the plates to the table -maybe? 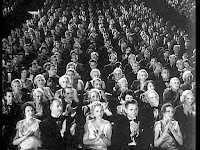 going out on a limb ) and this fact "took away a little bit from the dinner theatre experience." Really? That took away a bit? You had to fetch your own food? Gee! OK. Should the group have advertised the event as a "Self Serve Buffet Theatre?". Interesting note here is that the first 3 "dinner theatre" plays I was involved in as an actor were in fact, self-serve buffets. So to me, in my personal world, this was normal. (See how that works?) No one ever complained that this "took away" from the experience. What does this mean? Simply, as I may have pointed out, that everyone's experience and/or preferences are not the same. Therefore, it can get a bit sketchy when I attempt to state that what I am accustomed to - is the way of all things and how all this should be. And if it's not something that lies in my personal preference or is in my wheelhouse, then it must be a flaw. It must be wrong therefore unacceptable. No. I think many critics are doing it wrong by dipping into subjectivity. It should have no bearing on the experience or really any place in a review of a play. Yes, I know. That's just my opinion, not yours. Creed Community Players "Talk About A Murder!" Creede CO - Creede Community Players asks: What do a psychic, a domestic diva, a gossip columnist and two Las Vegas performers have in common besides their own talk shows? MURDER! Come to the Ruth Humphreys Brown Theater in Creede for performances of Talk About a Murder by Lee Mueller, and laugh into figuring out who committed murder and why. See some favorite local actors such as Joann Ricci-Schlough and Scott Lamb. Performances will be Fridays, April 20 and 27 at 7 p.m.; Saturdays, April 21 and 28 at 7 p.m. and Sundays, April 22 and 29 at 1 p.m.
Tickets will be available at the door: $10 adults, $8 students, cash or check only. For reservations, please call and leave a message with name, phone number and reservation date at 203-417-1126. General admission only. (LaMoille IL) LaMoille High School Drama Club’s presentation of “A Murder has been Renounced,” by Lee Mueller is a spoof on the traditional Agatha Christie mysteries. Tickets for the show, 7 p.m. Friday and Saturday, are $7 and available at the door. “Join us for this hilarious evening. Come for the laughs, stay for the pun,” says director Linda Whitmore. Plot: Renown Mystery writer Fred Finnegan has died under unusual circumstances and all his friends have gathered at his wake. Was Fred murdered by someone at the wake? Because he is also there and he's dying to find out. 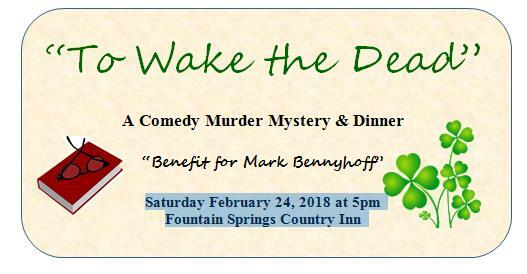 The performance will be a fundraiser to benefit Mark Bennyhoff, Ashland, who has been diagnosed with ALS. The presentation is being hosted by his family, friends, and supporters, according to a release. Tickets, at $25 each, will include dinner and the show. There will be a cash bar and live Irish music by The Troubles before the show. Doors will open at 4 p.m. followed by dinner at 5 p.m. and the show at 6:30 p.m. For tickets or more information, call Angela or Beverly Kane at 570-875-4908. Cant Attend the Show? Read the Play! However, this particular Anniversary show proves to be a wee bit different. First of all, rumor has it the station is about to be purchased by a large media conglomerate. Secondly, Guy seems to be having a virtual breakdown on the air. To top it off, the Bunny Bagel Boy collapses right after his live commercial spot and appears to be dead. Will any of this help the ratings? Is anyone listening? Not in the area? Read the play!